American orbital launch vehicle. Re-entry vehicle test booster and satellite launcher derived from Redstone missile. 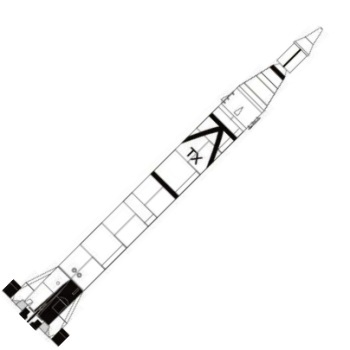 The Jupiter A version of the Redstone missile was modified with upper stages to test Jupiter re-entry vehicle configurations. Von Braun's team was ordered to ballast the upper stage with sand to prevent any 'inadvertent' artificial satellites from stealing thunder from the official Vanguard program. 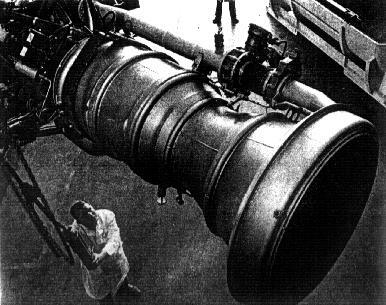 Korolev's R-7 orbited the first earth satellite instead. The Jupiter C was retroactively named the 'Juno I' by Von Braun's team. AKA: Juno I. Status: Retired 1958. 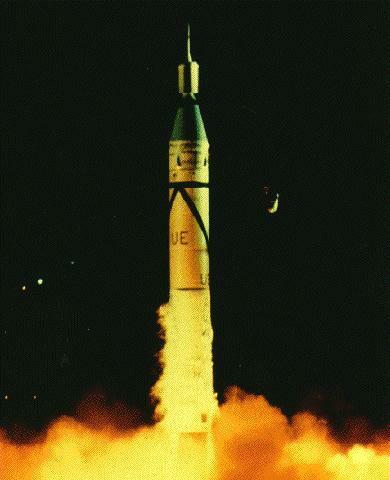 First Launch: 1956-09-20. Last Launch: 1958-10-23. Number: 9 . Payload: 11 kg (24 lb). Thrust: 369.00 kN (82,954 lbf). Gross mass: 29,060 kg (64,060 lb). Height: 21.20 m (69.50 ft). Diameter: 1.78 m (5.83 ft). Apogee: 1,000 km (600 mi). LEO Payload: 11 kg (24 lb). Development Cost $: 92.500 million in 1959 dollars. Flyaway Unit Cost 1985$: 1.994 million in 1956 dollars. 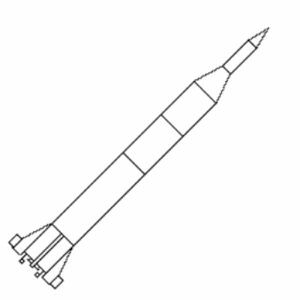 Family: orbital launch vehicle. People: von Braun. Country: USA. Engines: A-7. Spacecraft: Explorer A, Explorer B, Explorer C, Beacon 1. Projects: Explorer. 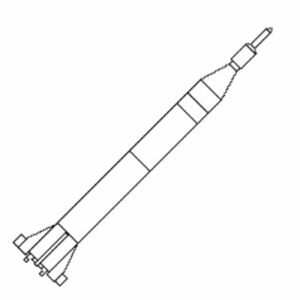 Launch Sites: Cape Canaveral, Cape Canaveral LC6, Cape Canaveral LC5, Cape Canaveral LC26A. Stages: Jupiter C stage, Castor engine.